List Rules Vote for your favorite Despicable Me movie quotes! 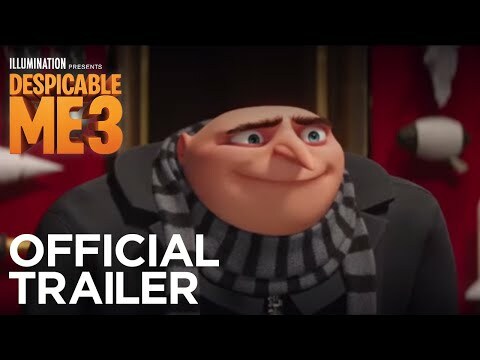 Despicable Me 3 movie quotes bring the laughs to the film which follows what happens when Gru meets his long lost twin brother Dru and heists follow. The animated adventure movie was directed by Pierre Coffin and Kyle Balda using a screenplay Cinco Paul and Ken Daurio wrote from the characters created by Sergio Pablos. Despicable Me 3 opened theatrically on June 30, 2017. 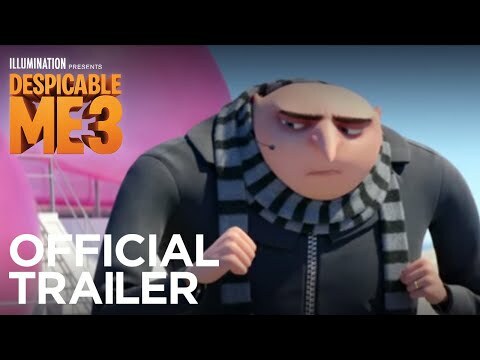 In Despicable Me 3, Gru (voiced by Steve Carell) and wife Lucy (voiced by Kristen Wiig) work for the Anti-Villain League chasing down criminals. But after a botched mission to capture super villain Balthazar Bratt (voiced by Trey Parker) ends badly, Gru is fired by new director Valerie Da Vinci (voiced by Jenny Slate). Shortly thereafter, Gru is approached by a man claiming to represent Gru's twin brother, Dru (also voiced by Steve Carell). After confirming that he in fact has a twin brother he never knew about, Gru meets Dru at his lavish home. But Dru has an ulterior motive for meeting Gru, he wants Gru to join him on a heist. While Dru swore off that life long ago, considering he's out of work, he might just take the opportunity. Despicable Me 3 movie quotes give a sneak peak into the film just like other movie quotes do for their respective movies like for Baby Driver, Valerian and the City of a Thousand Planets, War for the Planet of the Apes, and Spider-Man: Homecoming. Agnes: Look, a unicorn horn. Bartender: I saw one once. Bartender: It was so fluffy I thought I was going to die. When Agnes spots a unicorn horn in these Despicable Me 3 movie quotes, she strikes up an interesting conversation about unicorns with the bartender. The fact that he once saw a super fluffy unicorn blows both of their minds, in a good way, of course. Marlena: Shortly after you and your brother were born, your father and I divorced and we each took one son. Obviously I got second pick. Gru: I have a twin brother. When Gru confronts his mother about having a twin brother, she admits it and explains the story of what happened. Unfortunately, these Despicable Me 3 movie quotes also include a knock on Gru at the same time. Dru: You ready to continue the family tradition, you and me? Gru: No, I left that life behind me. Dru tries really hard to convince Gru to continue the family tradition in these Despicable Me 3 movie quotes. Too bad the family tradition involves heists, something Gru swore off a long time ago. Analyst: It’s some kind of monster! Silas Ramsbottom: Wait, that’s not a monster. That’s a man wearing shoulder pads! There’s only one super villain whose fashion sense is quite that dated, Balthazar Bratt. I want every agent on the scene immediately! Lucy Wilde: Agents Grucy are closing fast. Gru: Yes! Wait, wha? What did you call us? Lucy Wilde: Grucy, you know, Gru and Lucy mushed together, Grucy. Gru: Aha! I like it, but not a lot. I don’t like it. Lucy Wilde: That’s what he thinks! Get ready! Gru: Get ready for wha? Gru: What about that? ... What? Oh, girls! Balthazar Bratt: This is not over! After playing his heist music, villain Balthazar Bratt boards a ship and immediately subdues the crew with bubble gum. But these Despicable Me 3 movie quotes don't really end in Lucy and Gru arresting him, rather a dance fight.